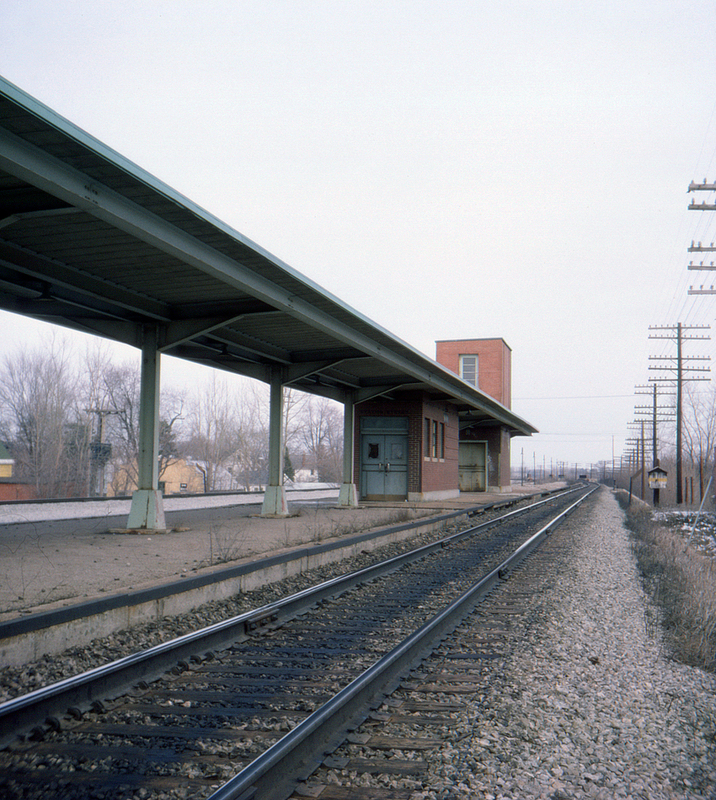 This view looks east (towards Rochester) down the platform of the former New York Central station at Batavia, New York. The station itself is off camera to the right. By 1976 Amtrak no longer stopped here; Conrail is less than a month away.